Pascom is a provider of on-premise and cloud-based phone system and VoIP services. It features a unified communications solution that allows users to combine all their communication channels into one platform. In this article, we covered its available pricing options. Ready to get started with Pascom? Contact their support team for more information. As of the date this article was written (10/31/18), there are no recent user reviews of Pascom online. If you are a past or current Pascom customer, leave a review to help other small business owners who are deciding whether or not to use the company. Pascom offers a free plan and two paid subscription options: Basic (€2.29 to €4.17/license/month) and Premium (€4.13 to €7.50/license/month). The main differences between the plans are the number of licenses that can be added and the level of customer support included. Discounted rates are available for annual subscribers. Only the Premium plan comes with email, phone, and remote support. Only forum support is available for the Free and Basic plans. Ready to get started with Pascom? Contact their support team for more information. Best VoIP Provider for Small Businesses in 2018 — Choosing a telephone provider directly affects your day-to-day operations and ongoing costs. We looked at the most popular providers and rising stars that covered the range of options for small businesses in terms of available features and price. Is the free edition 100% free of charge? Yes. It comes with two concurrent user licenses, which can be used by any number of employees. It also provides access to the full range of Pascom’s features. You can upgrade and expand the number of concurrent user licenses at any time. What industries does Pascom cater to? Pascom provides services to all kinds of business industries. 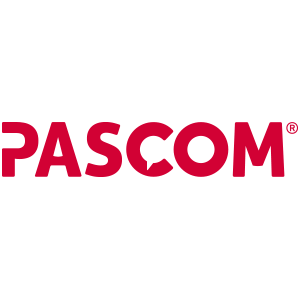 Not sure if Pascom is the right fit for you? Read our reviews of all top VoIP service providers. Disclaimer: The following information was provided by pascom and does not necessarily reflect the views of FitSmallBusiness.com. At pascom, we upgrade business communications. Our business phone systems provide you with a centralised, intelligent hub packed full of Telephony, Unified Communications and Contact Centre functionality to ensure you can gain complete control over every aspect of your business communication requirements – on-premise or in the cloud. The best bit; as we believe in delivering excellent customer service, all our business communications and collaboration tools are included as standard. Coupled with our industry unique Concurrent User licensing, your business will also benefit from unlimited users, channels and endpoints and only pay for what you actually use. No matter your deployment type, our solutions are available at the fairest, most cost-effective, business friendly price in the industry. Visit our website (www.pascom.net) and start upgrading your business communications with our free edition today. With pascom your business communications are in good hands. No matter your requirements, we have the support option for you! Got the in-house technical knowledge, then choose our BASIC option and still have support access via our forum. Alternatively, buy direct from one of our reseller partners and benefit from BASIC pricing and local onsite support. If your requirements mean you need direct vendor support, then our PREMIUM option is for you and you can call use, use our ticket system, access remote support all with guaranteed response times plus still have access to our support forum. What makes pascom stand out from the competition? At pascom, we believe in excellence at fair prices. Our solutions are all inclusive, each and every one of our business communications and collaboration tools are included as standard. We don’t make you choose between between feature editions which combined with our industry unique Concurrent User pricing truly sets us apart from the rest of the pack – all the telecoms features and team collaboration tools your business could need, unlimited users, channels and endpoints plus free pascom.cloud hosting for the lifetime of your solution.